Conservation collaboration reintroduces iconic antelopes to their desert home after nearly 20-year absence. Conservationists from ZSL are celebrating the return of the iconic scimitar-horned oryx (Oryx dammah) to its homelands on the edge of the Sahara desert after the recent successful release of 14 captive-bred animals to a remote region of Chad. This is only the second group to return to the wild after the species was classified as Extinct in the Wild by the IUCN in 2000. The project, a joint initiative of the Government of Chad and Environment Agency of Abu Dhabi (EAD), is supported by global partners including the Sahara Conservation Fund and ZSL’s conservationists, who are working to restore the species to its former habitat in Chad’s Ouadi Rimé-Ouadi Achim Reserve – the last major stronghold of these antelopes in the wild. The group – comprising six males and eight females – were released on 21 January 2017 and join the herd of 21 oryx that were successfully reintroduced to the reserve in August 2016. During the six months since reintroduction, the first group have thrived in their new habitat, with the project already celebrating the first birth of a scimitar-horned oryx in the wild for more than 20 years. Once widespread across the southern Sahara, the scimitar-horned oryx was rapidly driven to extinction during a period of extended civil unrest in the 1980s and ‘90s. Since then, the species has survived only in captivity. A breeding programme was established in the United Arab Emirates alongside zoos around the world, including ZSL Whipsnade Zoo in the UK, to maintain a viable back-up population of these animals. Two female oryx from ZSL Whipsnade Zoo’s herd were transferred to Abu Dhabi in 2014 to help contribute to a representative ‘world herd’ being bred by EAD, with their descendants poised to be part of the reintroduction programme. Each individual oryx released has been fitted with a GPS-enabled satellite collar so that conservationists can monitor their movements around the 78,000km2 reserve – equivalent to the size of Scotland, making it one of the world’s largest protected areas. In the first few days since their introduction, the second group have been observed grazing peacefully close to the release site and are expected to follow their predecessors into the further reaches of the reserve over the coming weeks. ZSL conservationist Tim Wacher, who has worked on scimitar-horned oryx projects since 1985, said: “This reintroduction represents the result of decades of collaborative effort between national and international conservation organisations, the Chadian government, The Environment Agency-Abu Dhabi and local Saharan communities. “It’s been a privilege to play a part in returning this iconic species to its original homeland. Releasing these animals back into their native arid grassland landscape after two decades of absence was an emotional moment for all involved. “The birth of the first calf has also been hugely encouraging, as mother and baby both appear to be doing well. We have high hopes that one day in the not-too-distant future; herds of scimitar-horned oryx will once again be a common sight across their huge protected reserve and hopefully beyond. 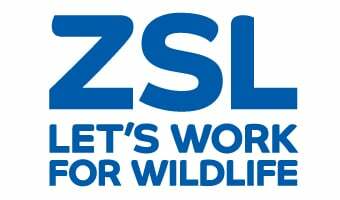 “That animals from ZSL Whipsnade Zoo helped make this project possible is also a wonderful demonstration of the power of zoo-based conservation to preserve healthy back-up populations of species that are struggling in the wild."